Today, we’re happy to announce the release of MongoBooster 2.1. 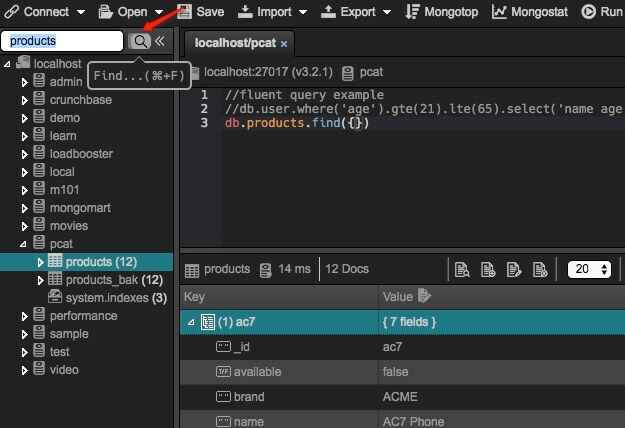 This release includes Quick Find for the connection tree, ShellJS integration, support mongo Shell Native Methods, auto load .mongorc.js, export user-defined fields and a few minor improvements and bugs fix. Although we are showing screenshots of MongoBooster for Mac OS X all these new features are available for Windows, and Linux as well. Quick find to symbol with (⌘+F|CTRL+F) provides the possibility to get to any database and collection object in the connection tree view. ShellJS (version: 0.7.0) is a portable (Windows/Linux/OS X) implementation of Unix shell commands. It is a fantastic tool for integrate MongoDB Shell Script with the external shell environment in a cross-platform way. ShellJS Commands can send their output to another command in a pipe-like fashion. sed, grep, cat, exec, to, and toEnd can appear on the right-hand side of a pipe. Pipes can be chained. 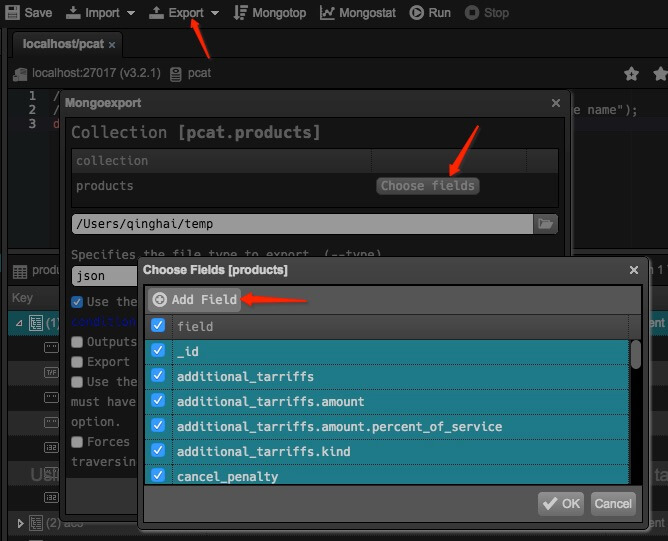 The following example use shelljs and json2csv to export a MongoDB collection to a CSV file. MongoBooster Native methods will convert a tilde path to an absolute path. 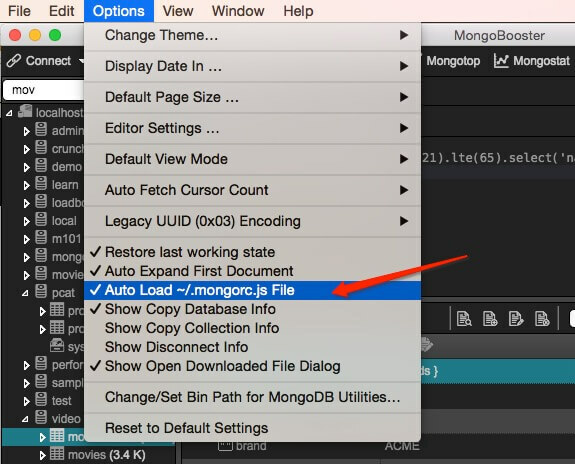 MongoBooster V2.1 add an option to auto load “~/.mongorc.js”. Add an option, When copy/pasting one or more collections, copy the indexes as well.